Candace Campo, xets’emits’a, Shishalh chen. My aspiration is to design, develop, promote and support the production of aboriginal art in a good way. Authentic aboriginal art is a priority in which I am committed to. We will collaborate, education and work together for the greater good as artists who produce art as a form of indigenous identity, spiritual purpose and within our unique cultural expression. Candace Campo’s ancestral name is xets’emíts’á. She is a member of the Shíshálh Nation and was born and raised in her native community in Sechelt, BC. She holds a degree in anthropology and in education. 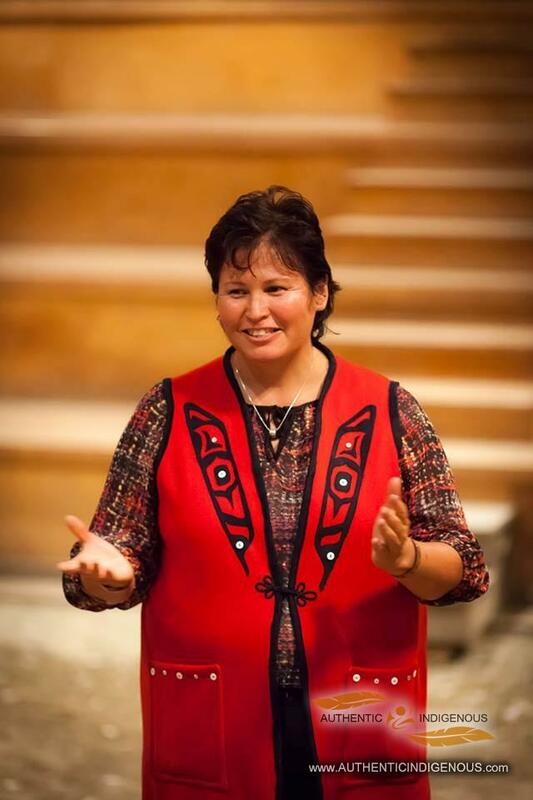 Candace owns and operates Talaysay Tours, a First Nations Tourism company that is committed to providing outdoor adventure with authentic First Nations themes. Candace is passionate about art and accredits her parents who have fostered a love for all art, including visual art, storytelling, reading and writing. Candace has studied art at Capilano University and currently enjoys working in acrylic and oils paint, sculpture and drawing. Candace works in the public schools teaching studio art and Coast Salish art and design.